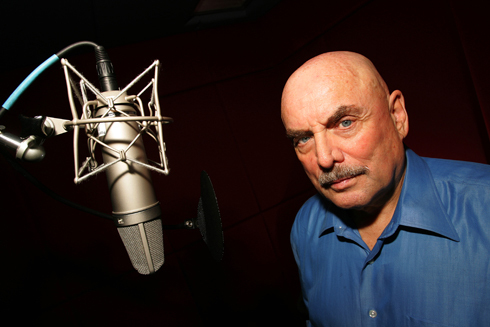 In a world filled with billions of voices, voice actor Don LaFontaine was an icon. Born in Duluth, Minnesota, LaFontaine started his career in the service, where he was assigned to the United States Army Band and Chorus as a recording engineer. After his discharge, he continued his engineering work at National Recording Studios in New York City and late in 1962, he was assigned to a young radio producer named Floyd L. Peterson. Peterson was creating radio commercials for the Stanley Kubrick film, Dr. Strangelove, and the collaboration was so successful that in January of the following year, LaFontaine and Peterson formed a professional partnership – with their “illustrious” headquarters located in Peterson’s tiny apartment. In 1965, when a scheduling mix-up at the company resulted in an announcer missing a session, LaFontaine had to create a “scratch” narration for radio spots for the film Gunfighters Of Casa Grande in order to present something to the client, Metro-Goldwyn-Mayer. To his surprise, they not only bought the concepts, but bought his performance, as well, and over the next 16 years LaFontaine voiced thousands of spots and hundreds of trailers. In 1978, he was asked to join Paramount Pictures, heading up the trailer department, and over the next three years, became the “Voice” of Paramount. Aside from his work in the trailer industry, LaFontaine became the voice of NBC, CBS, ABC, Fox and UPN, in addition to TNT, TBS, and the Cartoon Network, voicing hundreds of thousands of television and radio spots, including commercials for Chevrolet, Pontiac, Ford, Budweiser, McDonalds, Coke, and other corporate sponsors. He also made appearances as the in-show announcer for the SAG-AFTRA Awards and Academy Awards. At last count, Don LaFontaine had over 5000 film trailers and 750,000 television spots to his name. He also received a great deal of recognition for his achievements, honored at Cannes and awarded a Lifetime Achievement Award at the Hollywood Reporter’s Key Art Awards in 2005. Above all, Don LaFontaine will always be remembered for his unrelenting kindness and generosity, and the SAG-AFTRA Foundation Don LaFontaine Voiceover Lab is a fitting tribute to this legendary artist and man that many of today’s top voiceover actors considered both their mentor and friend.